Online distance education (ODE) has become pervasive and can potentially transform pedagogical practices across primary, secondary and university-based educational systems. ODE is considered a flexible option for non-traditional students such as adult learners and home-schoolers, and a convenient way to deliver remedial courses. ODE is also a feasible and attractive option for rural schools, which educate 29% of all K-12 students in the United States, and often struggle to provide advanced courses and attract highly qualified teachers. This paper presents qualitative data from both cohorts of a two-year, randomised, controlled research study of online distance learners in US rural high schools. Course providers in K-12 environments often rely on the teacher-facilitator model, which assigns a local staff member in the role of on-site facilitator to operate equipment, distribute instructional materials, and answer questions. In order to address issues of isolation and interaction, and to attend to the local context, our study aimed to develop a learner-centred model of social support at the local, small-school level that emphasises communication and interaction. This expanded role links the local classroom environment more closely with the online environment. The responsibilities for ensuring student success are distributed between online instructor and facilitator: a form of hybrid learning. de la Varre, C., Keane, J. & Irvin, M.J. (2010). 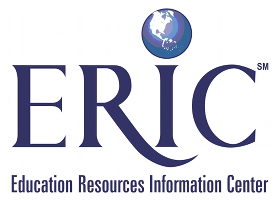 Enhancing Online Distance Education in Small Rural US Schools: A Hybrid, Learner-Centred Model. Association for Learning Technology Journal, 18 (3), 193-205. Retrieved April 20, 2019 from https://www.learntechlib.org/p/109851/.